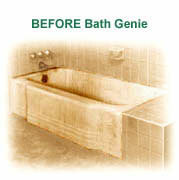 Bathtub Resurfacing - Marlborough and Metrowest, MA - Bath Genie Inc.
Refresh your worn out bathtub and tile surfaces! 30+ years of tub resurfacing experience! We Make Old Tubs Look New Again! 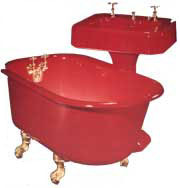 Located in the Marlboro, MA area, and servicing the entire Metrowest, MA region, including parts of Boston, Worcester, Westboro, Southboro out to even Southern New Hampshire and Northern Rhode Island, we restore worn out cast iron and porcelain tubs as well as modern fiberglass and acrylic tubs. We also reglaze sinks and tiles. 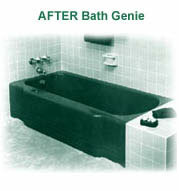 Bath Genie is the area's ORIGINAL bathtub resurfacing expert! Worcester, MA and more. Call us today!